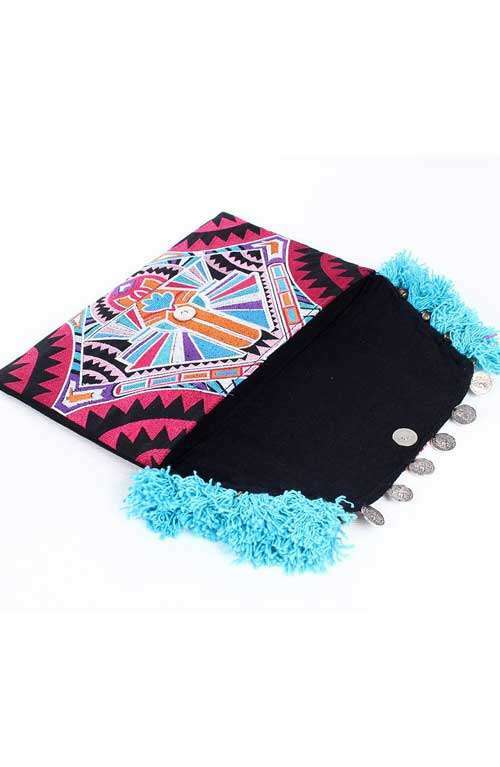 A gorgeous tribal large clutch purse with blue tassels handmade in Thailand. This clutch bag is the ideal fringe purse for all festive occasions. 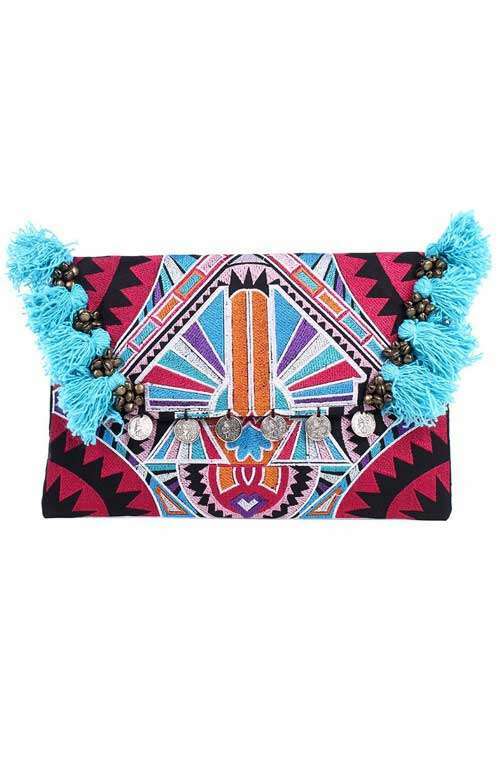 An eye-catching tribal large clutch bag handmade in Thailand. 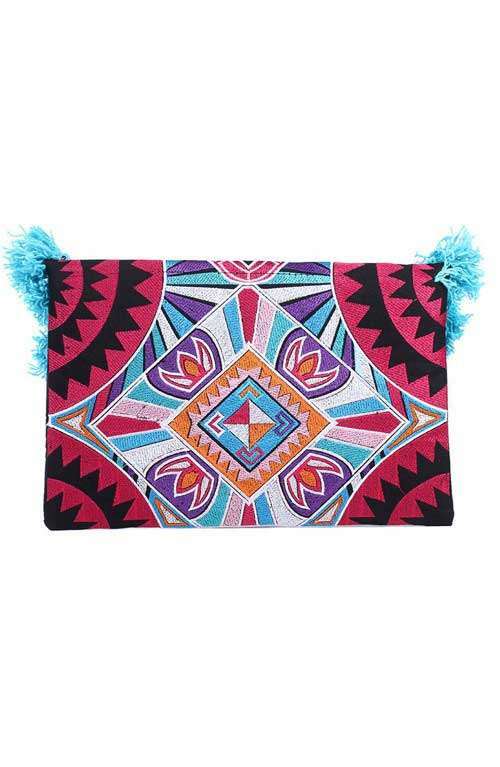 This beautiful boho clutch purse can be used as an iPad case or cover and even a makeup bag. It's vibrant colors will leave heads turning every where you go. The fringe purse features a magnetic closure and is lined with black lining and has a zipper pocket inside.